approved by Mountain Training to provide the Climbing Wall Instructor and the Climbing Wall Development Instructor awards from January 2019. 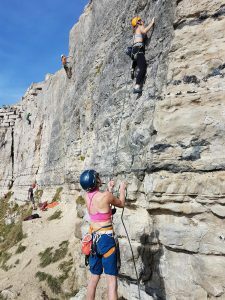 Ali will continue to be Course Director at Undercover Rock in Bristol for the above awards but will also be able to promote her own courses and create bespoke courses in Bristol and any climbing centre in the South West. So keep checking the calendar for dates or contact Ali to arrange your own course. 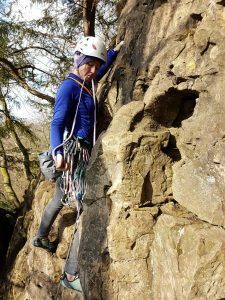 And in other news Ali has also become a Provider of Rock Skills 3 – Lead Sport and Lead Trad. Rock climbing on real rock is an addictive, enjoyable activity that has many benefits, both physical and psychological. 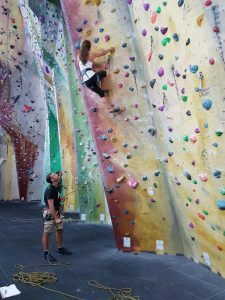 The new Rock Skills courses are designed to provide structured training opportunities for people who want to learn more and become independent climbers. There are three different levels so that complete beginners and those with more experience can choose the most appropriate starting point. Rock Skills 3 Sport and Rock Skills 3 Trad are 2 separate two day courses to introduce people to lead climbing on sport and trad routes respectively. It is suitable for competent outdoor top rope climbers or competent indoor lead climbers. The minimum age is 14 and previous outdoor experience is required plus some indoor leading experience. There will be a single registration fee with Mountain Training which will cover access to all four courses. Registration for the scheme will be possible once it is launched in January 2019. If you are keen to get going, you can create an account for free on Mountain Training’s candidate management system now so that you’re ready to register as soon as the scheme is launched. Courses will be available from January 2019 onwards from approved providers and you will be able to search for a course on Mountain Training’s candidate management system. If you have any further questions please contact Ali on 07814555378 or complete the form below.